Wow! What do I do with my time now? The San Francisco Giants did the unthinkable. Nobody thought they would win the NDLS yet the World Series. But they pulled it off and stunned the US. A friend of mine told me last night that the World Series had the lowest television viewing in 30 years. Why? Because the underdog took it? I have a theory why the Giants were able to persevere and do the “unthinkable”. The power of teamwork. When Pablo had a slump at mid season, late season, and post season, somebody stepped it up. When Torres was out for his appendectomy, Rowand stepped up. Even though Rowand is the second highest paid Giant, he sat out and let his “hot” teammates do the work. When Cody Ross (Sorry Doc) got cold, Renteria stepped it up and earned himself MVP. The underacknowledged component of the Giants team is the coaching and Medical Staff. These people all get world series rings too… and are well deserved. The Team MD (Dr. Ken Akizuki) helped keep Uribe in the game with a torn biceps. The head coach Bruce Boche is responsible for putting together an amazing mid-season roster (Cody Ross, Pat Burrell, and bringing up Buster Posey / Madison Baumgartner). These pick ups were not sole ideas of Manager Boche. The ideas were contributed by all coaching staff and even players. Talk about teamwork. The following are characteristics of teams according to Larson and LaFasto in their book titled Teamwork: What Must Go Right/What Can Go Wrong. The team must have a clear goal. – Obviously this was to win the World Series. Some may say that it was also to beat the Padres. The team must have a results-driven structure. – Boche’s ideas on coaching and not being afraid to bench high paying players. The team must have competent team members. The Giants had veteran players Huff, Renteria, Torres, and Huff who were hungry enough to win combined with new talent Posey and Baumgartner who are destined to make history. In the education setting this can be take to mean that the problem given to the team should be one that the members can tackle given their level of knowledge. The team must have unified commitment. Despite the obvious variances of backgrounds (southern boys and latino boys all living in liberal San Francisco) the team had a commitment. This doesn’t mean that team members must agree on everything. It means that all individuals must be directing their efforts towards the goal. If an individual’s efforts is going purely towards personal goals, then the team will confront this and resolve the problem. The team must have a collaborative climate. It is a climate of trust produced by honest, open, consistent and respectful behavior. With this climate teams perform well…without it, they fail. With Aubrey Huff’s rally thong and locker room leadership, the team was destined to victory despite any mild slumps he had during the final 2 months of the season. Tim Lincecum and Brian Wilson’s unique qualities combined with the team cultural differences melded into a climate of acceptance through team members slumps. The team must have high standards that are understood by all. Team members must know what is expected of them individually and collectively. Rowand and Zito (the two highest paying salaries on the Giants) sat the bench when push came to shove because that is what was going to get them the World Series title. The team must receive external support and encouragement. Encouragement and praise works just as well in motivating teams as it does with individuals. Giants fans! The team must have principled leadership. Teams usually need someone to lead the effort. Team members must know that the team leader has the position because they have good leadership skills and are working for the good of the team. Huff and Posey definitely stepped it up to lead the team and keep them positive. Manager Boche maintained a good relationship with the team despite making some hard decisions to bench some players when needed. The team members will be less supportive if they feel that the team leader is putting him/herself above the team, achieving personal recognition or otherwise benefiting from the position. This is obviously not the case with the Giants. So, how does this apply to life? In my life, it applies tremendously with work. If the Physical Therapist does not communicate with the patient, doctor, front desk, personal trainer, performance specialist, then the drive to success to achieve goals is a waste of time. We must have a clear goal, working relationship, external support, experience, and leadership in order to help someone recover from an injury and return to desired activities (sports). The one thing that was not mentioned in Larson and LaFastos list is FUN. The team must have fun. I believe that is if you do not know your team well enough to be Facebook friends or chat about personal life without apprehensiveness, you will be less successful. After all, exercise and sport was meant to be fun. This is one of the reasons why I entered Physical Therapy and Sports Medicine as a profession. 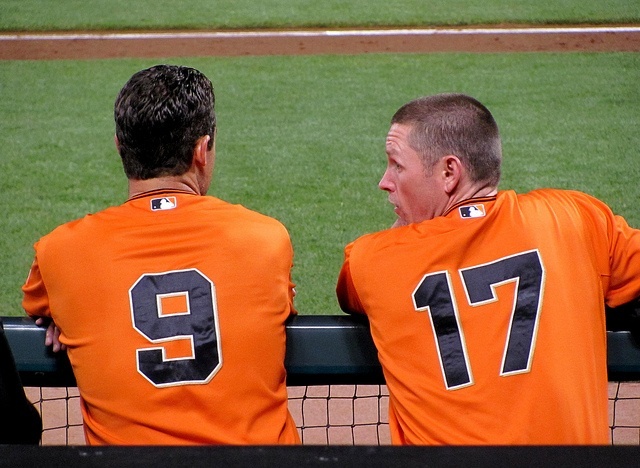 Aubrey Huff’s locker room antics carried the Giants through the late season. The rally thong made light of the pressure of succeeding in the late season. Sure there were probably a lot of jokes about Huff’s rally thong, but it worked. And the hideous “Fear the Beard” of Brian Wilson and Sergio Romo showed that the team did not care about appearance. The common goal and superstitions increased their team dynamics and confidence to kill the opponent pitching staff throughout the late season. When I look back and remember the GREAT teams I was part of, it all makes sense. I remember the 92-96 Mitchell, SD Kernels. We were volleyball and basketball champs multiple years in a row in each sport. Why? Because we are ongoing team mates…the majority of the varsity basketball players were also on the volleyball team. We also had a legacy to perform well. Coach Gary Munsen had a history of wins. With years of state championship wins, a town of fans behind you, a lot of talent, and most importantly teamwork, we were destined to win. Again the underacknowledged contribution to these wins was the athletic training department – they kept us injury free and were huge component to the locker room antics leading us to success. So, why do we not succeed in our lives now? We don’t have the passion, drive, and teamwork that many people have in athletics. This should be obvious in corporate and clinical settings. Have more fun, foster teamwork, and you will see results. Is your practitioner hoarding you? This might be a sign that he/she is not a team player. If they want what is best for you, they will refer you to the person that will help you most. Does your employer foster teamwork outside of workplace settings? This might be the missing link in your happiness in your profession. Be the “Giant” today and initiate the team dynamics. Start by wearing the red rally thong. Nice reminder of the importance of teamwork in our everyday lives. 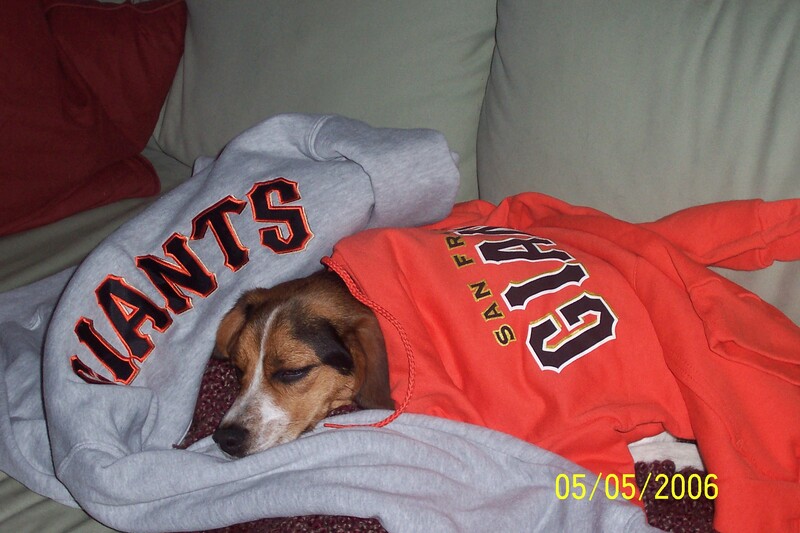 Hooray for the Giants!!! Great blog. I liked hearing the little tidbits about the Giants teamwork and how they got it all together to win! Yes, I agree with Lisa M…. Teamwork in every part of our lives is important. Funny, so far all Lisa’s ended up here. I am going to share these great ideas with my workplace. Go Giants! Lisa P.
Thanks for the comment! Hope it helps out. Go Giants!